The slideshow gallery below presents a chronological series of a number of works in the Painting and Sculpture galleries that also can considered "public art." The gallery is part of the Visual Arts section of The Emperor's Bridge Campaign's ARENA: Archive of Emperor Norton in Art, Music & Film. Some of these pieces are not in truly public spaces. They are located in restaurants or bars, which include the presumption of having to pay money for the privilege of being in the space. But each piece functions as a site-specific work that (1) provides a gravitational, magnetic "orientation point" for an outdoor or indoor commons, and that (2) possesses a level of "monumentality" that enables the work to uniquely shape the character of the space. This includes works often categorized as "street art," as well as pieces in indoor gathering places and crossroads such as bars and hotel lobbies. Undated and uncredited painting at the hofbrau Tommy's Joynt, in San Francisco. Photograph © Annetta Black. Detail from mural, c. 1930s, by Antonio Sotomayor (1904-1985). Located in the Happy Valley Room of the Palace Hotel, San Francisco, the mural depicts Emperor Norton, Mark Twain, Bret Harte and other San Francisco notables of that period. Photograph © 2011 Scott Cox. 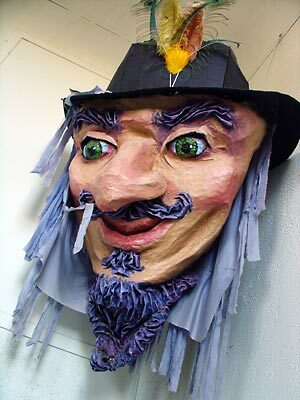 4-foot casting, 2010, of 21" maquette of Emperor Norton sculpted in 1936 by Peter Macchiarini (1909-2001). This casting presides over the main bar at Comstock Saloon, San Francisco. Source: Gianni's North Beach. 4-foot casting, 2010, of 21" maquette of Emperor Norton sculpted in 1936 by Peter Macchiarini (1909-2001). This casting presides over the main bar at Comstock Saloon, San Francisco. Source: Macchiarini Creative Design. Detail of "Jazz Mural" (1987; restored by the artist 2004), by Bill Weber. Located on Broadway at Grant Avenue, San Francisco. Photograph © 2019 Joseph Amster. 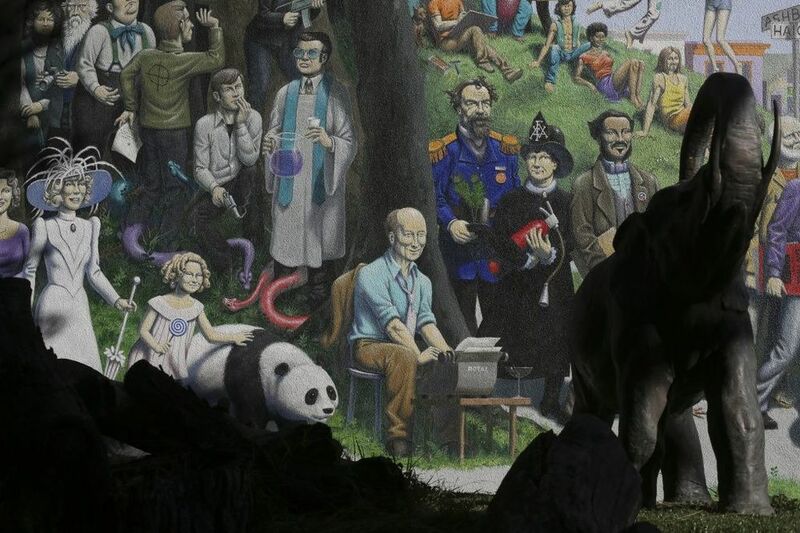 For views of the full mural, see Bill Weber’s site here. 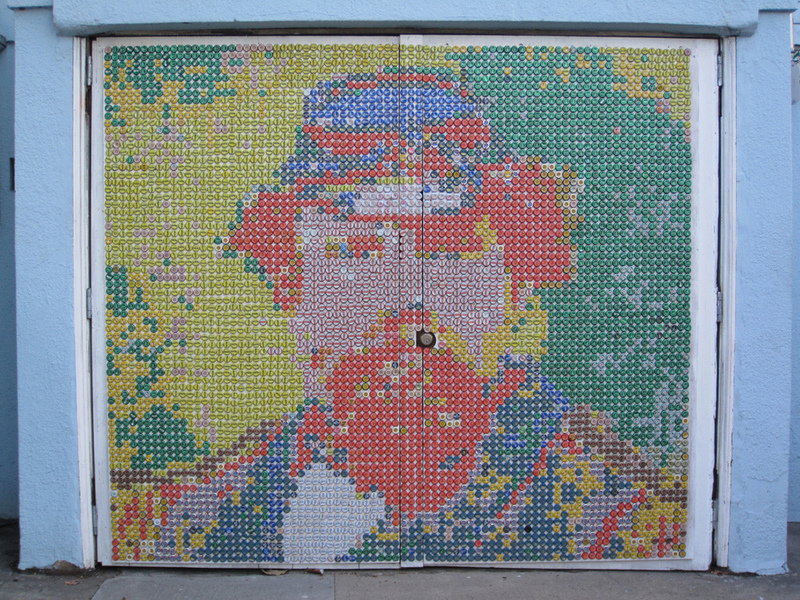 Detail of San Francisco Chocolate Factory mural (2005-6) by Jerry Warmsley, Jr., and Alyssa Morgan. Lost, 2016. Previously located at the Factory's former offices and retail shop at 286 12th Street, San Francisco. Photograph © 2014 Larry Jones. Source: Street Art SF. To view the full mural, click here. Mural at Hilton Union Square, San Francisco. Lost, 2017. Previously located in the parking garage entrance on Ellis Street near Mason. Creator and date unknown. Photograph © 2014 Larry Jones. Source: Street Art SF. Detail from Only in San Francisco (2009), by Guy Colwell (b. 1945). Large-scale, multi-paneled mural at the Pritikin Museum, San Francisco. Photograph © 2014 San Francisco Chronicle. 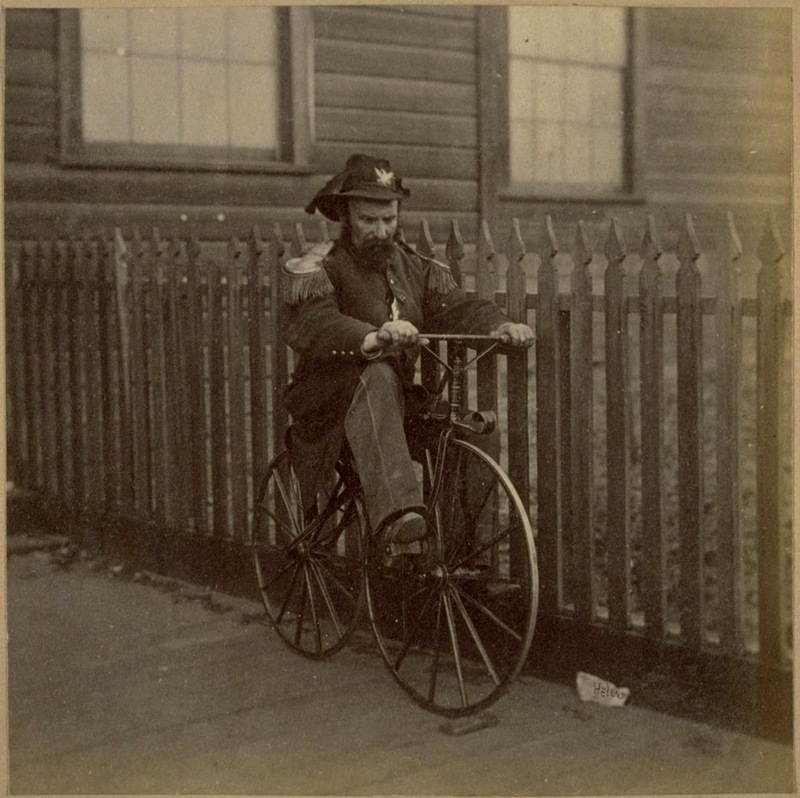 "Emperor Norton I" (2010), by Michael D. Morgan. Originally exhibited at the 2010 Artcrank SF group show of bicycle-themed poster art. 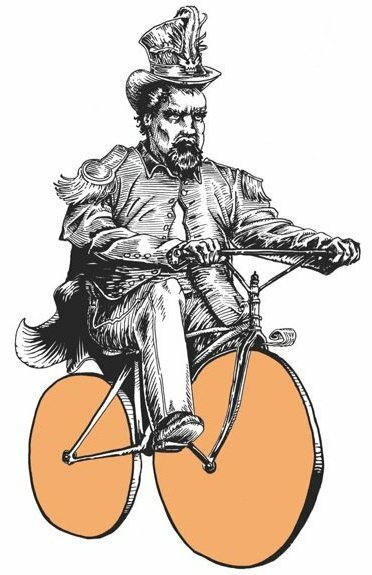 Inspired by an 1869 photograph of Emperor Norton by Eadweard Muybridge. Limited edition print on view at Emperor Norton's Boozeland, San Francisco. © 2010 Michael D. Morgan. "Le Roi Est Mort" (2014), by Brian Stannard. 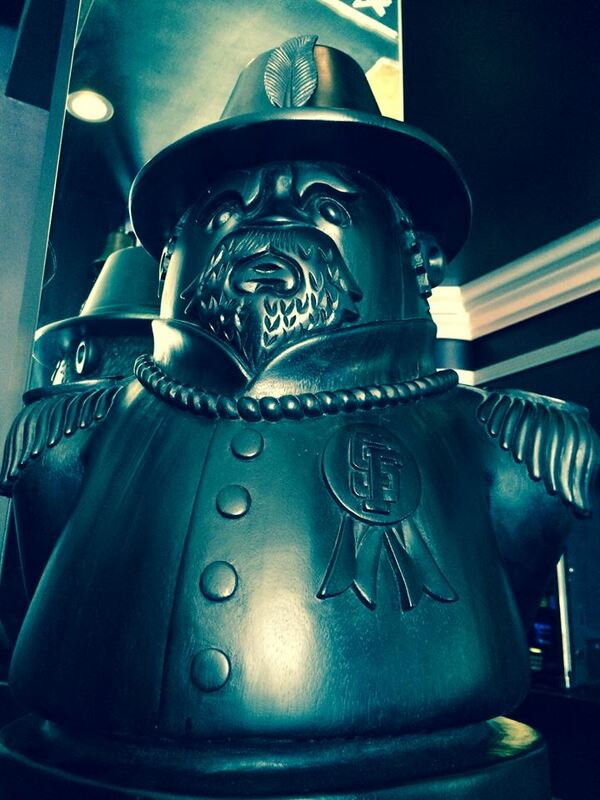 Commissioned by Emperor Norton's Boozeland, San Francisco, and on view at the bar. © 2014 Brian Stannard. Source: Brian Stannard. Detail of mural, 2014, by Andrei Bouzikof, at Emperor Norton's Boozeland, San Francisco. Located in the rear garden. 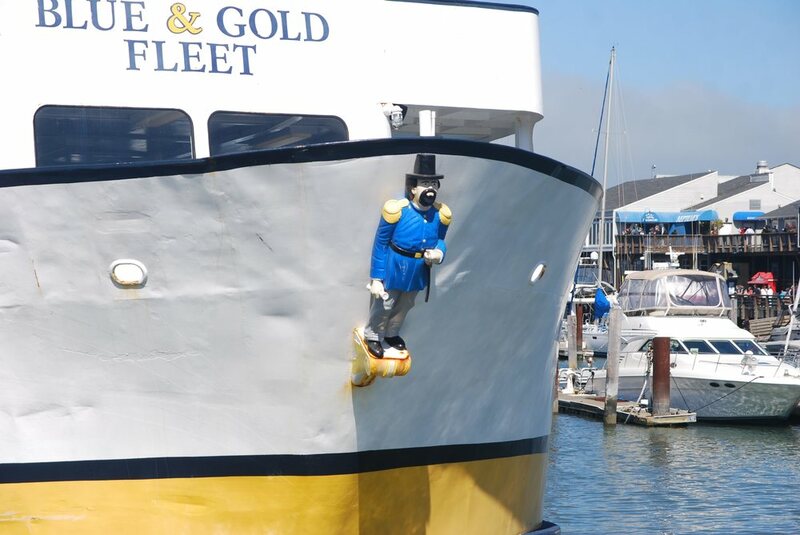 Photograph: Emperor Norton's Boozeland. For a more complete view of the mural, click here. Painting, 2016, by Sam Flores (b. 1975). This piece hangs in the restaurant Cockscomb, in San Francisco, which commissioned the work. © 2016 Sam Flores. Photograph: Peter Kazanjy.